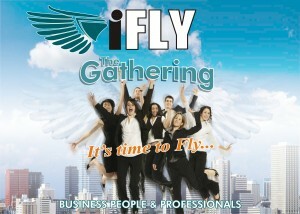 iFLY Acoustic Night is a monthly gathering of professionals and business people. It is a night of unwinding and chilling out with like-minded people after a hard day’s work. It is designed to attract yuppies and other adults engaged in business, and lead them to a saving relationship with Jesus Christ.Business people and professionals are activated in their mission to win their business partners, clients, suppliers, associates, down lines, and co-workers to the Lord. iFLY Acoustic Night symbolizes the rising above what is usual and the experience of overcoming limitations and weaknesses. The event features Davao’s top performing acoustic band with dinner at a very affordable ticket rate. There is also a time to hear personal testimonies of lives that have been changed by the love and power of the Jesus Christ and a life-transforming talk from the Word of God.